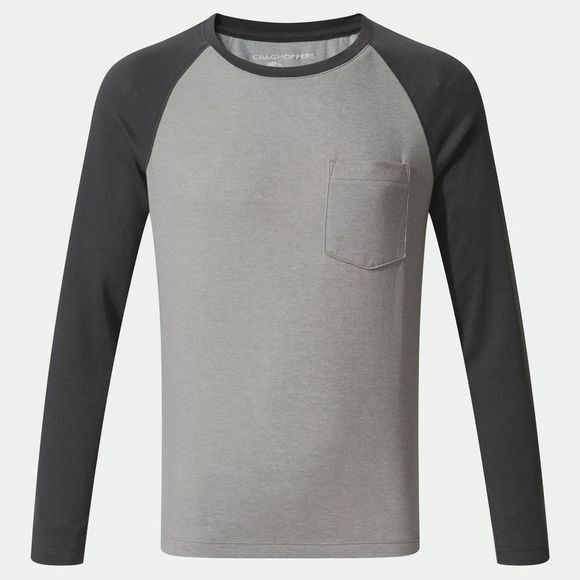 The Boys Nosilife Lorenzo Long Sleve T-Shirt from Craghoppers may look like a relaxed top, but its impressive tech elevates it to a hot-climate travel essential. The baseball-style two-tone marled construction incorporates NosiLife insect protection to help ward off mossies and midges, while the moisture-wicking action helps keep skin cool and fresh. Comfortable and sun-protective.